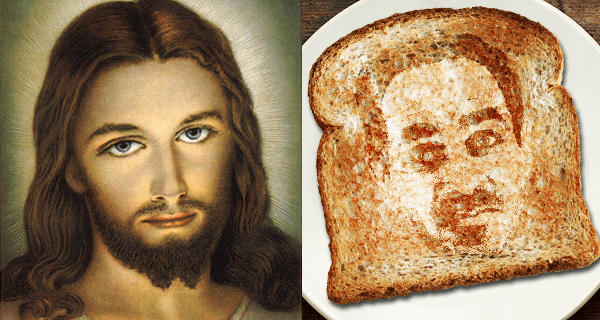 Jesus Christ is usually the one performing miracles, but recently the Nazarene witnessed a miracle he didn’t create: the face of 35-year-old orthodontist Bob Medford appearing in his toast. Being the Divine Son, Jesus immediately recognized whose face it was. Jesus himself is no stranger to showing up in people’s food, but this marks the first time someone else has appeared to the Savior in his own food. Some denizens of the afterlife, however, aren’t so convinced that the Holy One is seeing what he thinks he is. Even God himself is skeptical of his son’s claims. Jesus, however, refuses to be swayed by naysayers.